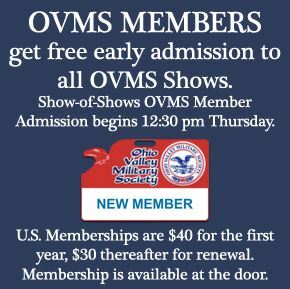 Please join us at the OVMS Show of Shows! ​The event is quite large; difficult to photograph, in fact. The photo shows only one part of this massive show. 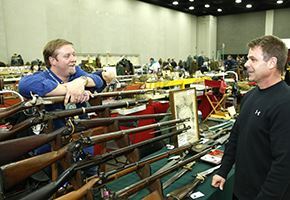 There are 1,965 tables of Historic Arms & Military Collectibles in a 166,500 square foot exhibit space. 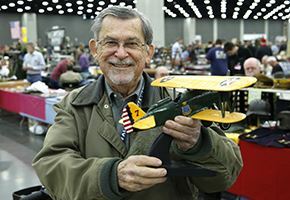 Collectors, dealers, museum curators, historians, veterans, and history enthusiasts from all over the world travel to Louisville, Kentucky every February for this event! 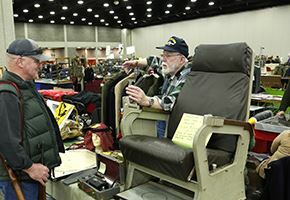 Military artifacts dating from the US Civil War (and earlier) to current conflicts will be available for sale here, but most of the items will be from WWI and WWII. 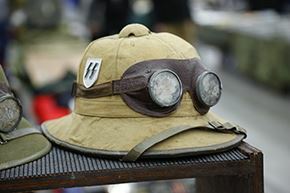 You will find military firearms, swords, photographs, uniforms, hats, helmets, flags, medals, archival materials, vintage posters, insignia, etc., etc. ​We would love to see you there! 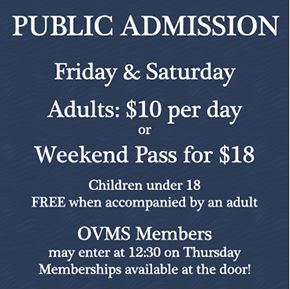 Public admission begins Friday at 9:00 am. 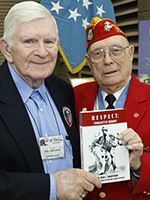 Members of the Ohio Valley Military Society are admitted at 12:30 pm on Thursday. If you wish to join and come in early with the members, you can do so at the door. 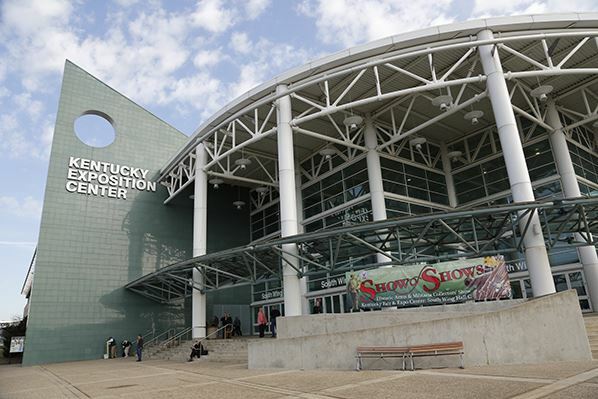 The show is located in South Wing Hall C of the Kentucky Exposition Center; 937 Phillips Lane, Louisville, KY. The show is less than one mile from Louisville International Airport. From I-264 take exit 11; from I-65 it is exit 131-B. In addition to browsing through a blue gazillion military antiques, a special treat awaits you in the back of the hall. 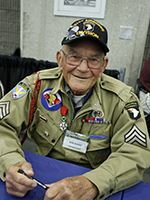 Each year a number of distinguished veteran guests attend Show-of-Shows, and make themselves available at a special set of tables to meet with you, discuss their experiences, and sign autographs. 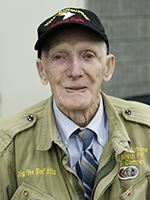 In past years, we have been honored to host many of the men who participated in the atomic missions over Japan, survivors of the Malmedy massacre, members of Co. E, 506th Infantry (the 'Band of Brothers'), Tuskegee Airmen, and a number of Medal of Honor recipients. Who will be at this year's event? The roster of this year's participants (subject to change without prior notice) is published here. 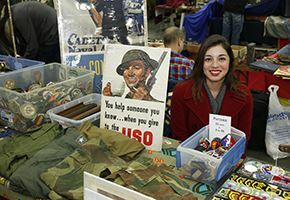 In addition to the veteran guests in the back of the hall, you will find a great many out among the sales tables as well. Wear comfortable shoes. If you enjoy history, you will probably be too excited to notice all of the walking that you are doing.. but at some point, your feet will probably remind you. Limited seating is available in the areas where food is available. If you think you might want to take a piece of history home with you, bring cash. Cash is king. There are dealers who will accept checks and credit cards, but they are the exception. There is an ATM in the lobby, but our overseas guests usually drain it faster than the lone keg at a fraternity party. Lunch is available; there are KEC facility food service windows at the rear of the hall, and the (DELICIOUS) Kentucky Pork Producers operation set up in the lobby. The OVMS has absolutely -0- control over which food vendors will be operating, that is a function of the KEC, but in recent years there has also been Pizza and ice cream. Concealed Carry is not permitted within the hall. The KEC is an official state building, and thus on the 'no carry' list under Kentucky state law. The only loaded firearms in the hall are to be those carried by Police and security officers. If you bring a firearm for sale, you will need to check in with the Police at the front desk. They will ensure that your weapon is clear, and provide a zip tie which must be attached locking the action open. If you have antique military items at home that you would like to sell, or have assistance identifying, do bring them along. There will be plenty of people in the hall who would be very happy to discuss this with you. Come early, especially on Saturday. 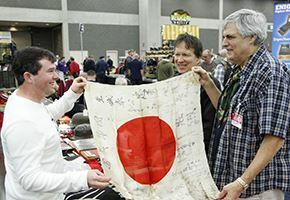 The show is as much a collector's convention as it is a public show, and by Saturday, the participants have been at it for several days. The vendors are allowed to start packing up at 3:00 pm on Saturday, so to get the most out of your visit, arrive early and allow yourself enough time to browse the show. The show is always filled with military antiques from all nations; all eras. US, French, Italian, English, Australian, Spanish, Belgian, etc., etc. 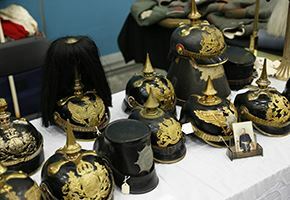 If you have never before attended a military collector show, though, you might be caught off-guard by the volume of WWII German material that you encounter at these events. Let us be very clear: collecting artifacts from WWII does not equate to anything other than a love of history and interest in historical events. 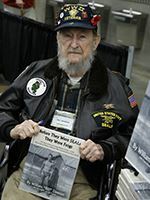 Collectors are on the whole quite keenly aware of the humanitarian tragedies involved in any armed conflict, and of the events before and during WWII in particular. They buy and sell artifacts from this era in the tradition of their fathers and grandfathers who served and collected souvenirs themselves, not to honor the enemy, but in celebration of his defeat. 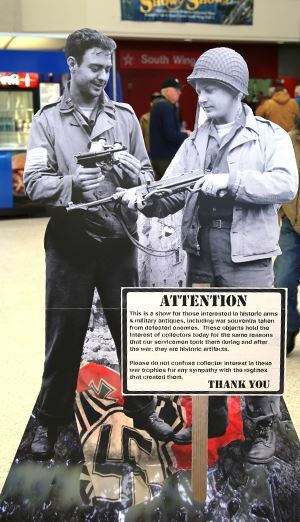 The sign above reads: "This is a show for those interested in historic arms & military antiques, including war souvenirs taken from defeated enemies. These objects hold the interest of collectors today for the same reasons that our servicemen took them during and after the war: they are historic artifacts. Please do not confuse collector interest in these war trophies for any sympathy with the regimes that created them." So.. if you enjoy military history, come join us in Louisville for the Show-of-Shows! click here for the main Show-of-Shows page, with more information.